Since Brexit depreciated the British Pound, London has become a newly accessible city for budget travelers. This bustling metropolis has attractions for every interest, and my favorite way to see the city is by sampling a little bit of everything. When booking your accommodation, choose a location close to the metro so that you will always be well-connected (and it makes it very easy to find your way back if you are lost). I prefer to stay near the British Museum by Russell Square Park since it is quiet, safe, and central. Start your day with a free visit to the British Museum, where you can see treasures from all over the world from the past 3000 years. Since the collection is so large, you may want to choose the exhibit that most interests you, or plan to spend at least half a day in the museum. 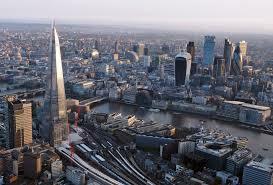 Then walk to the River Thames where you can stroll to downtown with a beautiful view. Soon you’ll be looking at Big Ben and the London Eye. For budget travelers, skip the London Eye, which costs an astronomical 70£, and opts instead for a drink on the top floor of the Shard (you’ll be in the neighborhood later). From Big Ben, you’re only a short walk to Westminster Abbey, the venue for royal weddings and a gorgeous example of gothic architecture. Get a meal to-go and walk to Buckingham Palace. The parks surrounding the palace are the perfect place to stop for a picnic and some excellent photos. On day 2, get on the metro to St. Paul’s and stop for pictures at this gorgeous cathedral on your walk to the Millennium Bridge (you might remember this bridge from the Harry Potter movies). Then turn left and walk along the river until you reach the Tower of London. Though the ticket is pricey, the Tower of London is an excellent half-day excursion that includes museums featuring the Crown Jewels, three of Henry VIII’s wives, and the iconic Beefeaters in a well-preserved medieval castle. After all this walking I’m sure you’ll be ready to eat, so cross the Tower Bridge and head for Borough Market – my favorite place in London. Here you can find food vendors of every kind, from Near Eastern desserts to German sausages to Spanish tapas. If I could eat every meal at Borough Market, I would! Finish off your incredible meal with an incredible view from The Shard, a nearby skyscraper that has restaurants and a viewing platform, which offers fantastic views at any time of day. On day 3, head north to Camden Town, home of Amy Winehouse and the Camden Markets – a massive indoor and outdoor complex with food, clothes, home décor, and more. Spend all morning walking through the shops, sampling cuisines from all over the world, and at least peeking inside of Cyberdog – a futuristic store, whose entrance is guarded by two robots, and whose merchandise is best saved for a black-lit rave or Halloween. Once you’ve powered up with snacks, follow the Camden Lock for a beautiful walk through Regent’s Park for an escape from the busy city. Turn right when you reach Abbey Road and stop in front of Abbey Road Studios to recreate the iconic Beatles album cover. Hop on the metro at St. John’s Wood to get back to the center for dinner. If you have more than a long weekend in London, choose any one of their incredible museums to visit, see a West End show, and visit Shoreditch for an excellent curry. No matter what you do, you can never be bored in London.